With preparation for the 2019 core golf season in full swing, we share some tidbits to help you address controllable outcomes and achieve goals. If you’d like to discuss further, kindly contact me. A recent LinkedIn report summarized the state of sales for 2018. Of note, 44% of decision makers indicate a company’s website is the #1 asset influencing purchasing decisions, and 70% believe website is in the top two. This begs the question –How is your “Front Door?” Does your website have high-quality images, video and engaging content? Are customers able to navigate through your website seamlessly, driving them to sign up for events, book tee times and purchase gift cards? Is your website optimized to rank at the top of search engine queries? These questions and realizations led Billy Casper Golf’s digital team to increase focus on website functionality and the optimizing user experiences. Take time this off-season to enhance you website, capture visitor data and then mystery shop yourself to confirm your sales processes ensure prompt follow-up. A 2018 year-end Gallup poll shows 66% of American adults think it is a good time to find a quality job – the highest percentage in Gallup’s 17-year history tracking the metric. Record high confidence in the American job market increases pressure on employers to retain top talent. To respond, BCG continues to refine our online university, helping each team member grow toward realizing their personal goals. Now is an ideal time to meet with your team, understand individual and collective milestones, and provide a framework for achievement. BCG developed multiple training tracks focused on three overarching themes – give employees the autonomy they desire, provide guidance to master each skill, and reaffirm each employee’s impact on guests, members and the golf course business at large. The result of turning jobs into career opportunities is less turnover and, in turn, less time training new hires and more focus on growth of your business. Congratulations! As a homeowner within a golf course community, you may be faced with the prospect of owning that course at some point in time. Why is that? 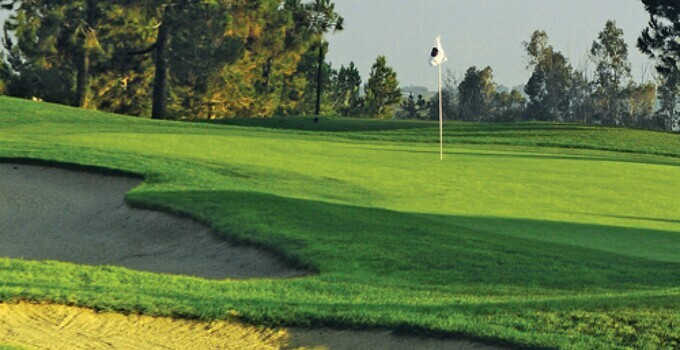 Simply put, the course owner will eventually desire an exit strategy, and homeowners are wise to protect their largest asset – property values – by buying the course. In many cases, course acquisition is a sound investment for Community Associations weighing the adverse impacts of course closure, redevelopment or degradation of the asset on property values and quality of life. BCG’s recent consulting work shows a 10%-plus reduction in property values when golf amenities are allowed to deteriorate. We provide several solutions to Community Associations to minimize exposure and create winning arrangements upon identifying the “real” cost of acquisition. Many golf course owners acknowledge their advantageous locations, but need to revitalize their properties to achieve desired returns on investment. As you explore upgrade opportunities, keep in mind the ability to repurpose the golf amenity with alternative golf concepts – i.e. a creative gaming concept on your range, miniature golf that attracts a different clientele or a craft brewery concept for your F&B amenity. BCG recently completed our 50th construction / major renovation project for golf courses with three more projects in process. As we work to provide strategic plans for our partners, understanding ROIs and how to maximize each dollar spent is paramount. Imitation is the sincerest form of flattery, and we would be happy to connect if you are planning a project of your own. The Wall Street Journal recently reported the increasing number of companies have outsourced aspects of non-core operations to increase focus on their primary business. Running a golf course is no different. Very few can be Superman with an “S” on your chest – although it feels like it at times. Having the ability to contact industry experts and peers who have experienced your current issues is invaluable. Learning opportunities abound like the NGCOA Connect Forum, management Companies and fellow industry professionals. – Long story short, a rising tide lifts all boats, and after 2018 we could all use some high tide. Have a great year and utilize the multiple industry conferences to connect with others – BCG will. We look forward to hearing from you.